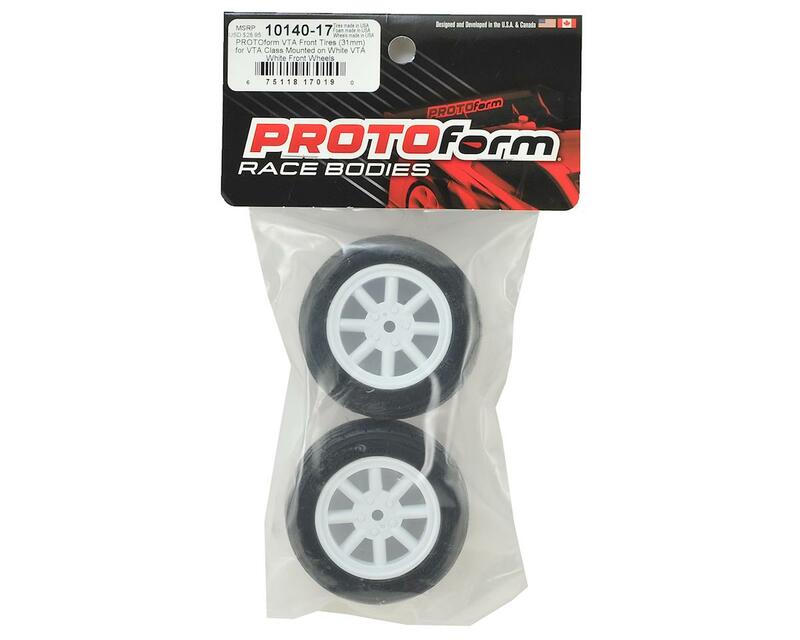 Protoform Vintage Racing Pre-Mounted Rear Tires are fully-approved for U.S. Vintage Trans-Am Racing and are fully-capable on any surface: carpet, prepared asphalt or parking lots. 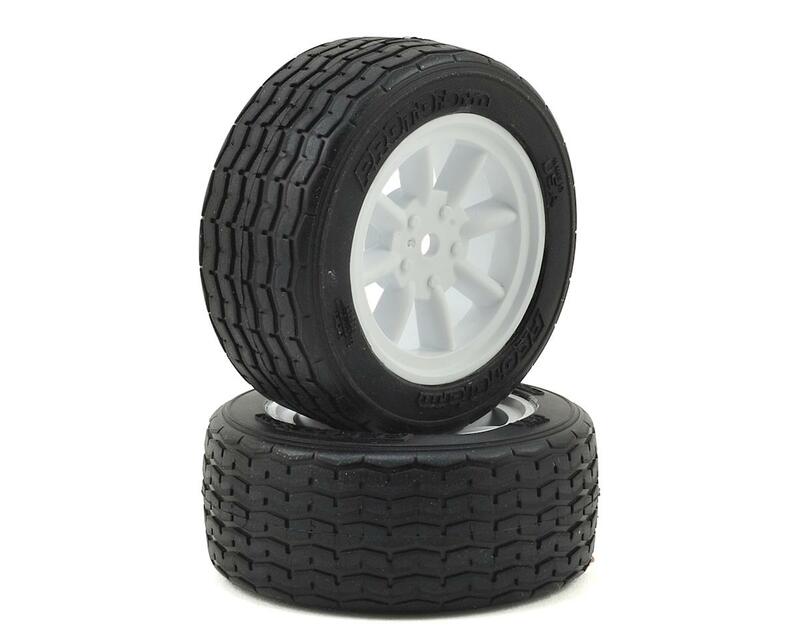 Utilizing a super long-lasting compound and molding technology perfected by Pro-Line Racing, these VTA spec tires are 100% Made in the USA. 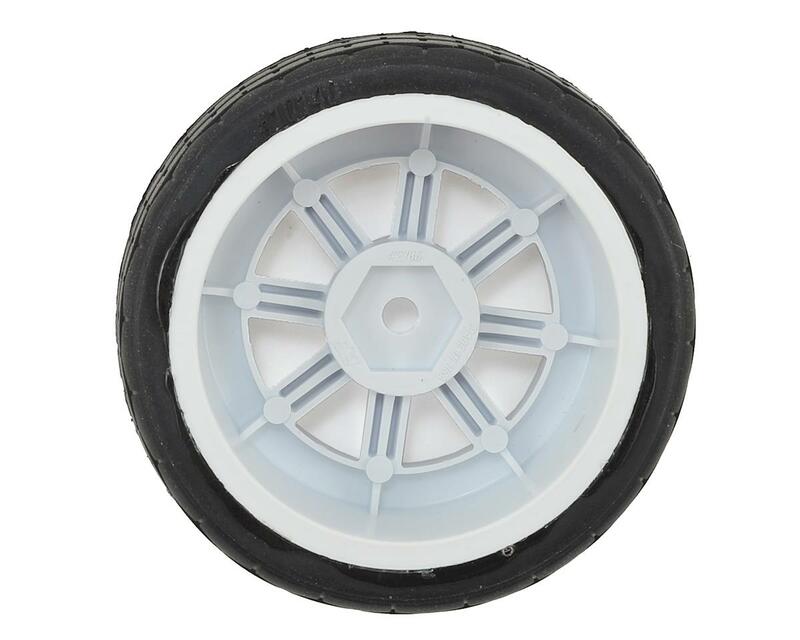 PROTOform’s VTA pre-mounts are sold in pairs and mounted our durable, nylon, 8-spoke wheels. The 26mm fronts are 0 offset, while the 31mm rears measure at +6 offset to fill the rear fenders of your 190mm touring car equipped with a PROTOform VTA body. Choose from white or black options to suit your taste or paint scheme.